Peter Stepniewicz works at Walt Disney Imagineering in Glendale California, specializing in show control, interactive systems, networking, and automated imaging. Current projects include the opening of the Shanghai Disneyland Resort, as well as development of systems for new attractions and lands. 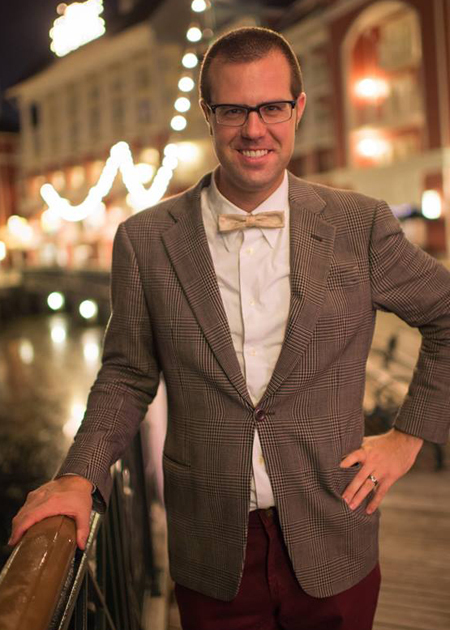 Prior to moving to WDI, he previously spent 10 years with the Walt Disney Parks & Resorts New Technology Group in Florida, an internal consultancy tasked with developing technologies 3-5 years out from introduction to the Disney parks, resorts, and cruise lines. There, Peter worked closely with departments ranging from Design & Engineering, Food & Beverage, Merchandise, Industrial Engineering, Corporate IT, Telecom, Park Operations, Transportation, Disney Photo Imaging, Animal Programs, and various divisions of WDI. Notable projects include the early development of Disney's MagicBand, the MyMagic+ program, in-park interactive experiences, ride photo and video systems, and a wide variety of pilots and prototypes across the Disney properties worldwide. Peter holds a Master's degree in Entertainment Technology from Carnegie Mellon University and a Bachelor's degree in Digital Media from the University of Central Florida.